Retreat starts at 4:00 pm Friday and ends Sunday at 11:00 am. All activities are optional. You are welcome to attend as many or as few as you like. If you prefer not to attend a class, there is much to enjoy at the center. With the walking meditation labyrinth and a path around the perimeter of the beautiful, natural grounds, we know you will find a way to a peaceful and fun experience. Arrival and check in. You will be greeted by one of our volunteers and shown your room options. You will have a chance to settle in and relax before dinner. Join us in the Zendo for Welcome Circle. There will be a round of introductions, information about the retreat and a chance to ask any questions. Dinner and get to know your level. 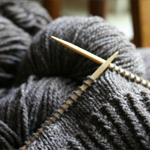 We will wrap up eating around 7:00pm and meet in the Dining Hall to gauge (ha ha ha) your knitting/crochet experience and introduce you to our Fiber Arts teacher Ana Clerc. End your first day with a relaxing Yoga Nidra class in the Zendo. Debbie Schmidt will be leading our first yoga class of the weekend. Free time in the dining hall to play games, chat or work on your craft projects. Enjoy breakfast in the Dining Hall. Fingerless gloves workshop. 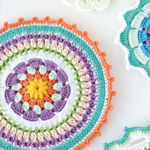 Knit or Crochet, we will have a patterns for both and many kinds of yarn to choose from. Ana Clerc will be leading the class with volunteers available to answer any questions and help you to get started. This is a small project you should be able to finish during the retreat. Join us for Yoga in the Zendo. Class led by Debbie Schmidt. Enjoy Lunch in the Dining Hall. Crochet! Expand your skills or start fresh. Our talented instructor and volunteers will be on hand to answer questions or get you started on one of our holiday crocheting crafts. Aromatherapy Sugar Scrubs. 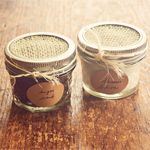 Try exotic new scents when creating your custom sugar scrubs. Large selection of Essential Oils to choose from in custom labeled keepsake jars. Felt Your Inner Goddess. In this class we will be needle felting a figure that will represent how you see yourself now or how you want to see yourself. This painting project will be informative and fun. Learn all about acrylics and get to paint on new and found substrates. Allow yourself to shift into a slower state of consciousness with the 5 point NADA ear acupuncture protocol for relaxation and stress reduction. No previous acupuncture or meditation experience required, only a willingness and openness to connect with your higher consciousness! All workshops are optional. Enjoy Dinner in the Dining Hall. Succulent Planters, Learn how to build, design and sustain your own succulent planter. Perfect for indoor spaces and very low-maintenance. 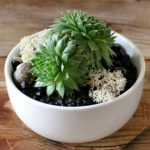 All plants and supplies are included but if you have a special bowl or container you would like to use, bring it along. Define, capture, and embrace what it is to be an embodied woman! 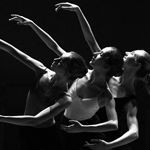 We will move, express, create, and tap into our greatest strengths, connection to self and other! This will be a time to move your bodies, create art, and rest in a guided meditation! Let’s find resource in vibrancy, creativity, and rejuvenation! Finish up your projects and ask Ana any knitting or crochet questions. Join us in the Zendo for our Closing Circle. Ready to refresh your stash? Have too many skeins to fit on a shelf? This is your chance to trade up or purge your collections. 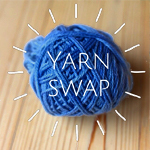 Any yarn, roving, knitting, felting or crochet supplies welcome. During class and break times, art supplies will be available in the main dining hall for you to use. Create a scrapbook, draw with colored pencils or water color, the choice is yours! Schedule is subject to change. Yoga and movement classes are suitable for all levels: beginner, intermediate, and advanced.